I find myself on the hunt for one specific thing every year and this year it's navy booties. I basically live in booties in the winter and I have black, brown, light brown and grey but no navy. If you saw yesterday's post, you'll notice why I need a pair. What do you think? Can you help me find any more booties?! I've been on the hunt for knee high navy boots and can't seem to find them anywhere. Of course, I have some rather specific guidelines (no stilettos and not a lot of "flair" - buckles, etc). If I can't find knee high, then you did provide some great options! I think I need one pair of each! thank you for this! 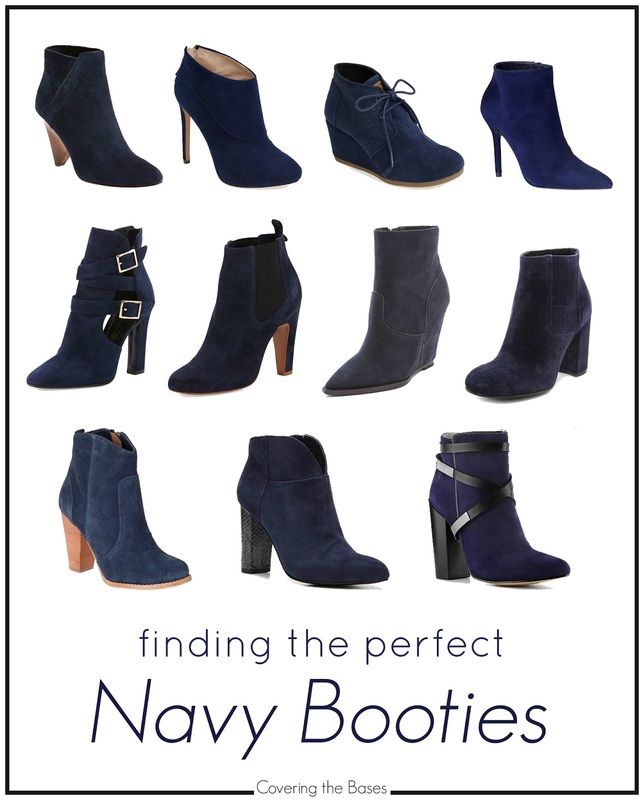 i've been looking for a navy bootie!